Heritage lovers have been saddened and angered by the impact of changes to Blundells Cottage. Photos: George Tsotsos. Landscaping upgrades to the much-treasured and historic Blundells Cottage in the Parliamentary Triangle have appalled many Canberrans. New paving and steps with fawn edging and protruding steel handrails clash with the rustic iron and stone cottage, the last remaining pre-Federal Capital residence in the Parliamentary Triangle. 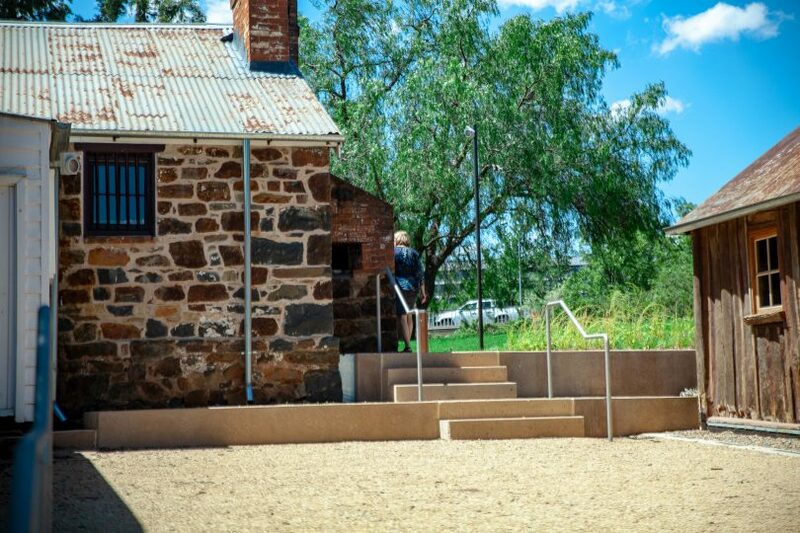 A surprised, ‘saddened’ urban planner and architect David Flannery posted the changes on Facebook, commenting that “.. the new paving works are so out of context with the character of this early and significant pastoral era cottage”. Handrails and steps are building requirements but critics say the choices are out of step with the heritage site. While not based on a historic element, the new handrail was required to ensure the landscape works were designed and constructed to required building standards, the NCA said in a statement. Consultation was carried out in 2012 when GML Heritage prepared a heritage master plan. A plan was also prepared for the landscaping component, according to the NCA. The latest work is worth about $800,000. “Extensive consultation was undertaken as part of this project including stakeholders like the then Department of Sustainability, Environment, Water Population and Communities, ACT Heritage Council, ACT Historic Places, National Trust of Australia (ACT) and the Canberra District Historical Society”, the NCA says. “Extensive conservation works were also undertaken on the timber slab shed. Late 20th elements that were not part of the domestic history of the Cottage, like the picket fence, were removed”. Blundells Cottage is the last remaining pre-Federal building in the Parliamentary Triangle. The National Capital Authority, which has been responsible for renovations, says on its website that the stone dwelling was built in 1860 to house Duntroon’s head ploughman, William Ginn, and his family (1860-1874). It was then occupied by George Blundell, a Duntroon bullock driver and his family (1874-1933) and finally by shepherd Harry Oldfield and his wife Alice (1933-1958). It has long been regarded as a valuable relic of Canberra’s early days. 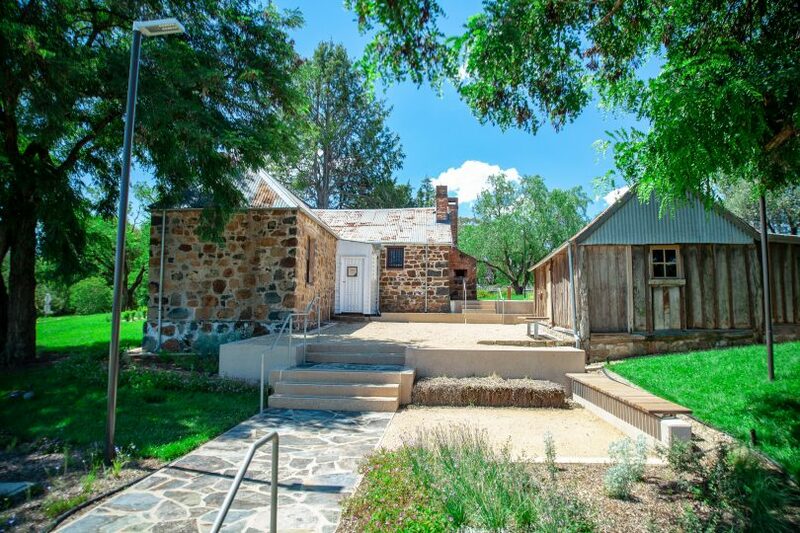 The NCA says Blundells Cottage is an important historical place that illustrates life in pre-Federal Canberra. 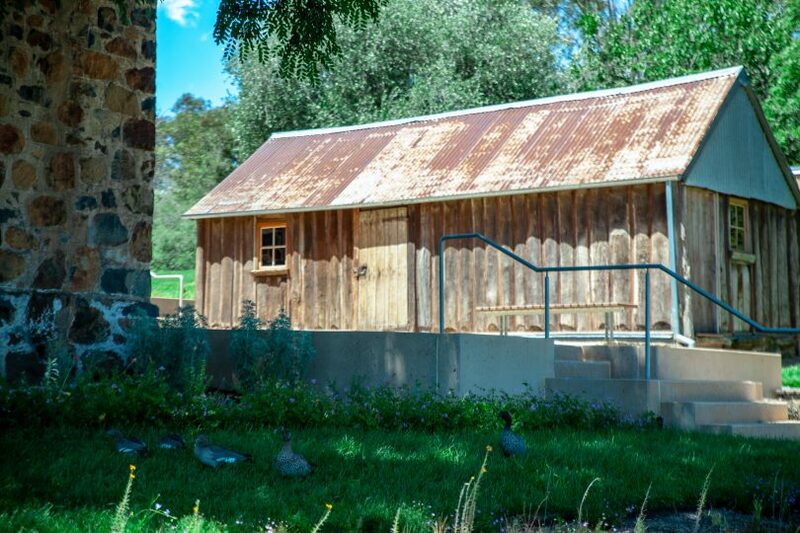 As a farm cottage, it tells the story of the workers who settled and built Canberra during the 19 and early 20th century. probably the result of of incompetence ? NCA should explain …. The landscaping is nothing like the grounds of the cottage when I lived there with my family as a child in the 1950's and 60's. This was built as a workman's cottage - I cant understand why tne NCA has gone so far off-course. The brief was probably, hardwearing and cheap to maintain. Gardens need expensive upkeep, that just needs a quick mow and blow. Oh, so not in keeping with the historic character. What a shame Canberra. Take a look at how they do it in Europe. Looks to be on the cheap. Well that probably took, consultants, focus groups, a long drawn out tender process, more focus groups and then a committee formed to review the consultants reports and evaluate the environmental impact, engineers reports on the stability of the original buildings, a launch party, a ribbon cutting, security for the dignitaries. No gardens, no wheelchair accessibility, no semblance of 'bush capital' left. Ticking all the boxes of what passes for Canberra developments today. Krystal Eppelstun-Lee - so sad, the beautiful cottage garden has been replaced with this! Bridgid Edwards where we took those lovely pics before I had Vespa! The NCA is a disgrace on so many fronts. Anyone who has watched just one historical renovation or grand designs show knows that if you want buildings to survive into the second and third 100 years, you need some pretty modern building techniques. This has converted a historical private residence into a modern museum. You can’t get around the need for safety railings, surface treatments which can withstand the through traffic etc. John Cottis you can't get around needing modern building standards but that shouldn't stop them building them sympathetically to blend in with the historic elements. Why not use darker stone paving or iron railings more in the style? Looks terrible! Whom ever approved this should lose their job! and as mentioned before, its not fully accessible! Great way to destroy one of Canberras historical sites, what were you thinking? Unbelievable. The consultants should close their business and refund the money needed to fix the changes. So not only have they modernised it, but they haven't made it disability friendly whilst doing so. It was closed for at least close to a year (possibly longer, I just know when it was I went to take my children to see) and THIS is what they achieved?? Disappointing to say the least. Ridiculous! $800,000 spent on consultation and implementation and apparently no one thought about accessibility? I am lucky and if I am having a good day I will still be able to tie my kids, but I have many friends who won't be able to visit because there is no way they will be able to access it. First thing I noticed was that there’s no way to get a wheelchair up there unless someone drags it up the grass. Were they trying to discourage skateboarders? It seemed very odd. I guess it was never wheelchair accessible in the first place before the new concrete and brick steps were added but when I saw works I thought that’s what was going to be fixed. Even though the picket fence was considered too new - living in Canberra all my life it was a well know feature of the building and it just looks too weirdly concrete and bare now. Ally Wordsworth that was my surprise when I saw it a couple of months back, amazing, hand rails but no ramps. What were they thinking! !